Sign up for volunteer jobs for the inaugural Tri for Jimmy race weekend 6/8 and 6/9 (Some can participate in race, but some cannot on the 9th). All volunteers must check in with Volunteer Coordinator and sign waivers before reporting to signed up job, this is especially true on race day. Please arrive with time to go to Volunteer Check In. If your job requires you to arrive after 7:30 AM on race day (June 9th) you will have to park across the street at Hampton Ponds Plaza parking lot. 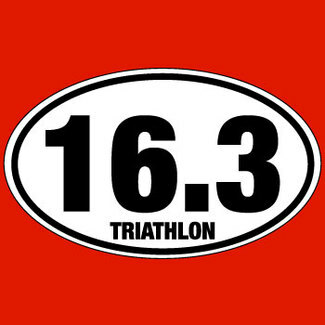 We have combined all volunteer positions into one list, most positions will have triathlete representation if noted as mixed preferred, please ask if you have a question. Each Slot is prefaced with "All", or "All - mixed" to denote knowledge required. Please understand that race management reserves the right to relocate volunteers if need be and your selection may not be honored. Thank you. Pack up the athlete schwag bags (give aways, bib #, chip, T-shirt). Load Trailer. Potluck, main course provided, sign up for app, drink or dessert, a few fun but busy hours. All - mixed preferred. Check IDs, collect forms and payment, distribute gear. Must arrive by 5:45 AM. If you are not participating in the event, you will be assigned to another task after 8:00AM. All - mixed, Mark athletes legs and arms with their race number. Must arrive by 6:15 AM. If you are not participating in the event, you will be assigned to another task after 8:00AM. All. Ensure the safety of cyclists at intersections. Very responsible adults only. Must arrive by 7:15 AM and stay until end of race. All. No experience needed, Trash pick up, Parking Attendant, Set up equipment, equipment tear down. You may be assigned to an intersection to alert runner/biker of directions and traffic. All. Drive a pickup truck (not provided) around the course to pick up any stranded cyclists. Must arrive by 7:30 AM and stay until end of race. All. A mtn biker to lead first runner around the run course. Must be familiar with course. All. Hand out water on run course and clean up discarded cups. Must arrive by 7:30 AM and stay until end of race. Must be able to transport water coolers to aid station. All. Man refreshment table. Including cleanup. Must arrive by 8:00 AM and stay until end of race. All. Bring kayaks to be used by lifeguards. Must arrive by 6:30 AM. Can also volunteer to be in kayak. All. Pick up trailer in field, wait until it is loaded and tow to house and drop it. Assist in unloading of trailer if possible. All. Many hands make light work, 3 miles away. Unload trailer and put items away for storage.